The Chairman and Chief Executive of the National Drug Law Enforcement Agency (NDLEA), Col. Mohammad Mustapha Abdallah (rtd. ), has promised to intensify the war against drug barons in the country. Abdallah, who had been busy with budget defense for the Agency in Abuja, has reported at the national headquarters of the NDLEA in Lagos with the inspection of infrastructures to determine areas of critical attention. 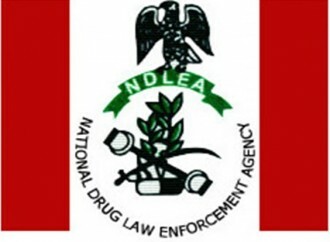 The NDLEA boss who vowed to incapacitate drug trafficking organizations assured staff of improved working conditions. According to Abdallah, “drug barons must be immobilized. Drug trafficking is a serious transnational organized crime capable of undermining national security and development. “The Agency shall adopt new strategies in preventing illicit drug production, trafficking and abuse. The NDLEA Chairman who was accompanied by the Director General, Mrs. Roli Bode-George, Directors and principal officers at the headquarters minced no words on his determination to rejuvenate the Agency for optimum performance. While assuring officers of better days ahead, the NDLEA boss however charged officers to be dedicated to their duty. “I want you to expect better days ahead in terms of improved working conditions. However, you must remain dedicated to duty. Your loyalty and commitment must first be to our country. “Understand that your assignment is important to the peace, safety and development of our country. Any act of indiscipline shall be treated in accordance with the rules of engagement,” he stated.